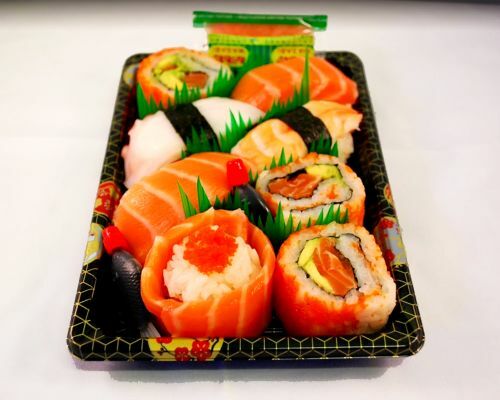 Menulog delivers for Daruma Sushi so you'll be able to track your courier on a map. Eight pieces. Cucumber and avocado rolls, seaweed gunkan, corn gunkan and inari. Eight pieces. Tempura chicken rolls and salmon nigiri. Eight pieces. Tempura chicken rolls and salmon rolls. Eight pieces. Choice of two styles. Nine pieces. Salmon nigiri, prawn nigiri and lobster salad gunkan.